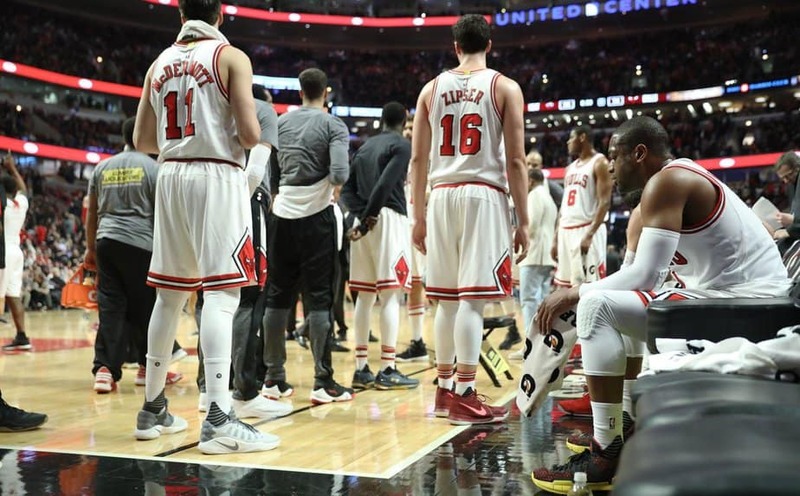 The Chicago Bulls needed an opponent like the Miami Heat Friday night. They needed to play a team that—well, a team that stinks. 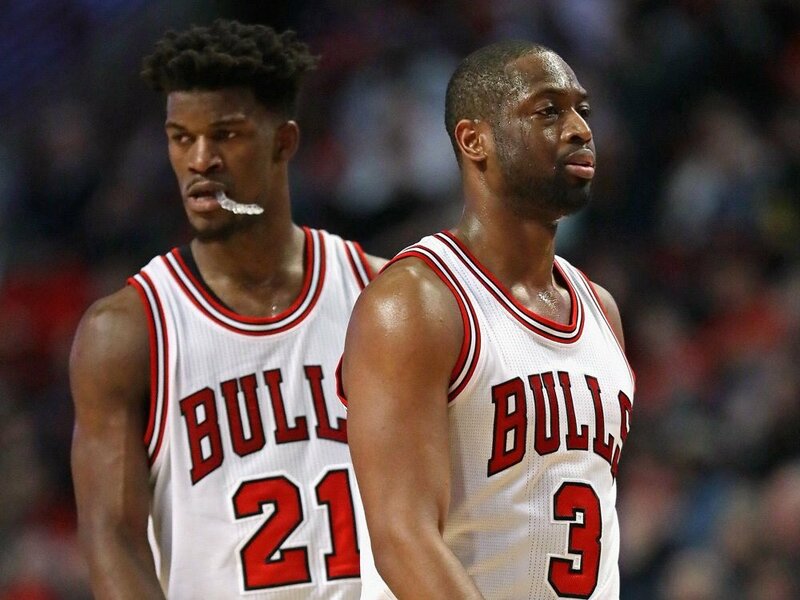 After all the drama during the week involving Jimmy Butler, Dwyane Wade, and Rajon Rondo, they needed a win. Nothing cures dysfunction quite like victory, and the Bulls should have been able to get one against the lowly Miami Heat. Yes—should have. Rather than play an inspired game to show they can rise above the drama, the Bulls turned in what head coach Fred Hoiberg called the worst game the team had played all year as they lost to the Miami Heat 100-88. The team didn’t look good from the start. It didn’t help that Jimmy Butler and Dwyane Wade were pulled from the starting lineup as punishment for their postgame comments following Wednesday night’s loss to the Atlanta Hawks. But it didn’t help when they did end up entering the game since they played just as uninspired (combined 1-8 from the floor in the first quarter) as the rest of the lineup. Wade and Butler never ended up getting it together. By the time the final quarter rolled around, they were a combined 5-23 from the floor, and the team was down by ten, 77-67. By the time the game was over, Wade had hit just six of 17 shots and scored 15 points. Butler managed just a single basket (1-13) and three points. So—a game after they combine to score 73 points and complain about everyone else’s effort they scored a total of 18 points. During the second quarter, Butler took himself out of the game after getting his second foul. The emotional day referred to the controversy that arose after Wade and Butler called out their teammates in the media and Rajon Rondo admonished them on Instagram for lacking leadership. All three have since been fined by the team and widely criticized for airing the team’s dirty laundry in the media and online. Goran Dragic led the way for the Heat with 26 points, 11 assists, and five rebounds on the night. Willie Reed added 20 points, and Dion Waiters chipped in 19 points to help the team win its sixth game in a row. Chicago will have a tough time getting back on the right side of the scoreboard the next time they take the court with the Philadelphia 76ers coming to town Sunday night. Miami will try to keep the good times rollin when they face the Detroit Pistons Saturday.